In the age of social media, and keeping everybody we know updated on everything we do, it’s easy to get carried away with posting first, and thinking later. We’ve all heard about the numerous cases of people being fired over a Facebook status update, and yet don’t think too hard about whether or not it is something that can affect us in the long term. With apps like Snapchat, which gives users the opportunity to post a picture to their 24 hour “story”, there has never been a more immediate way to overshare to our lives to family, friends, and even unfamiliar faces. Other than the aforementioned professional problems of posting to your social media without forethought, constantly posting to social media can be a hindrance to your personal injury case. If you are a victim in the middle of a personal injury claim, social media is not your friend. Whether or not you are posting about anything related to the case, everything you post to your followers can be used as evidence against you. According to a study by the Pew Research Centre done between 2005 and 2015, approximately 65% of adults in America use social networking sites. With its broad appeal across generations, having any sort of social media account is practically a staple for everyone. Problems arise from circumstances of personal injury for those who are active online. From posting pictures of events as they occur, updating your online friends about the case, or even “liking” a friend’s party photo, something you may find insignificant can have a negative impact on your case. Insurance companies can access your social media accounts, and use your activity to make their case against you. If you post, or are “tagged” in a picture where you are engaged in some sort of activity that negates your disability claim, you may revisit that event while in court. The image caption does not matter in these circumstances, considering you are not under oath when out of the courtroom. It can be difficult to refrain from posting about your personal injury claim, especially when you have an active online life. Even though keeping a record of your claim is important, what’s even more imperative is ensuring that your documentation is kept confidential between you and your lawyer. A trusted and experienced personal injury lawyer, such as the ones in Pace Law Firm, can give you a complete list of do’s and dont’s of what to post on social media. 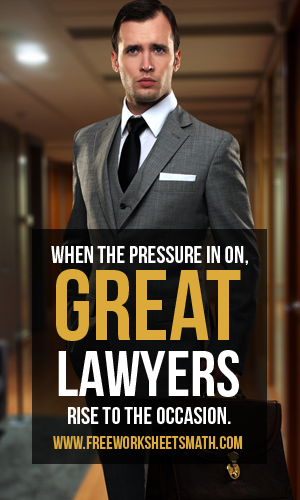 They can help you figure out how to alter your online life in order to win your case. Just remember: anything you say or do, inside or outside of the courtroom, can be used against you in the court of law. Criminal laws were improved to make a framework in our administration. Through these laws, individuals may tend to act as needs be and superbly to what the law will instruct them to do. It will help them to have discipline as well as by practicing these exercises, they can have a life that is free and right. That is the reason we ought to be appreciative that specific criminal laws are made, as a result of these stuffs we can have a superior existence without risk and mischief. Obviously, keeping in mind the end goal to have them viably working in a town, neighborhood or even the entire nation, we should first know the destinations of those laws. Revenge. The hoodlums confer oversights and due to that they are obliged to pay for what they have done. They accomplished something terrible to other individuals that prompt damages and most noticeably bad passing of a few, so they have to experience some burdens of it. This is the most clear objective of these laws, to make pay the individuals who need to pay. Prevention. There are two sorts of discouragement the individual and general one. This is objective where they need to demonstrate the criminal that he has accomplished something truly wrong and that a punishment will be forced to him, this is the individual classification. This will help him to maintain a strategic distance from himself from doing this once more, it resemble these laws will commit the general population gain from their errors. While the general class will be a notice to all individuals not to do what that criminal has done or else they will likewise encounter the same thing. Debilitation. This is a standout amongst the most prevalent objectives that these laws have accomplished. It was intended to just keep the offenders far from the general public and from other individuals. Detainment, being in prison and even capital punishment are only a portion of the case of this crippling. It turned out to be exceptionally powerful since it likewise unnerves individuals not to specific wrongdoings that will without a doubt convey them to imprison in light of the fact that they would prefer not to be far from their family and from the free life that they are having at this moment. Restoration. This points in changing a criminal to concede his missteps and have that eagerness to change and be reestablished once more. It is exceptionally well known for the individuals who are heavy drinkers that they don’t can control it any longer that they can as of now attempt to drive affected by alcohols. With these cases, the will be restored so as to help them control themselves from these addictive stuffs. Likewise, the assistance of a DUI lawyer in Michigan or in different towns will be required for some lawful matters. These objectives are made keeping in mind the end goal to check if these criminal laws will be compelling or not. This is their method for measuring the aftereffects of their activities with respect to these wrongdoings. In accordance with this, each one ought to in any case recall that even without these objectives that will remind us about what to do or not, we should at present all regard each other and never carry out violations. Getting a separation is a standout amongst the most upsetting occasions in a man’s life. 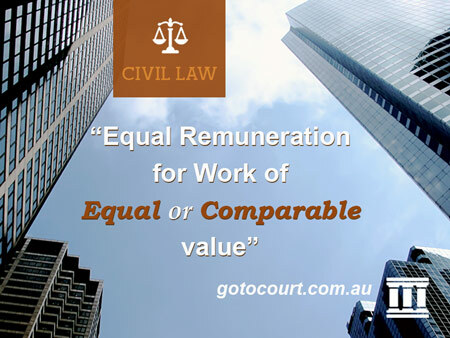 People looking for separation are normally amazed by the insufficiency of separation laws or rather restricted clarification with respect to what the laws involves. The absolute most quarrelsome matters are caught in inquiries, for example, ‘The amount of kid backing ought to be offered?’ ‘The amount of divorce settlement if one pay?’ and ‘For what period if I need to pay?’ Unfortunately, just a couple Syosset Law Firms can give exact responses to these sorts of inquiries. The striking thing you have to think about separation law is that both life partners will have the shot of arranging settlements between independent from anyone else. In many US courts, there are formal rules that are followed in granting tyke support. In some states, there are no formal rules, along these lines, the judge executes judgments by sole prudence subsequent to assessing the proof cited. The most effective component while going for a separation is contracting a qualified separation lawyer. This will guarantee that you get convenient counsel on all matters that decide the result of a separation settlement. With regards to taking care of your separation, your lawyer will read to you the separation laws that you should know about. Going for trials just means both you and your mate are taking your risks. By the by, a typical issue that may emerge respects the issue of reasonable judgment. Lion’s share of judges will do their best to stay proficient and unprejudiced. Indeed, even thus, they are people simply like any other individual henceforth can be silly now and again. There are numerous strides that are being followed in separation procedures. One is to decide the disintegration of marriage of the two accomplices. Furthermore the public property is another procedure that typically changes contingent upon the area of the couples, in light of this a portion of the couples might be given pretty much of the conjugal resources in view of their separate income. On the off chance that a prenuptial assention rises, then the couples will disperse the advantages among themselves. Spousal backing is constantly granted when one couple is included among other wedded couples, for this situation if the mate can’t have the capacity to bolster herself or himself fiscally on the grounds that the other was the provider then he or she should be upheld. 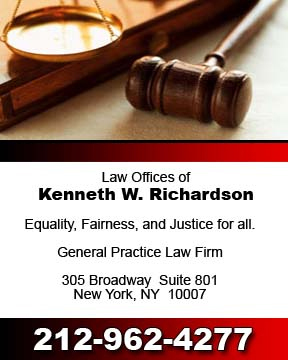 Divorce legal advisors are various and they are the key elements to any separation procedures. For anybody experiencing a separation it is vital to know there is help accessible and that the trouble that they are experiencing are genuine and typical. By the by, with legitimate consideration and direction a separation ought not overwhelm the persons included. There are numerous reasons that can be sited for separation which incorporate abandonment, compulsion, misuse and infidelity. Tyke guardianship is the most well-known issue that includes numerous couples who divorce, however it is of significance for you to know the separation laws before choosing to have a separation.